Some of the world’s leading banks have partnered with TradeIX and R3 to facilitate post-shipment finance powered by blockchain technology. The initiative, called Marco Polo (www.marcopolo.finance) comprised of a group of the world’s leading banks, together with trade finance technology specialist TradeIX and enterprise software firm R3, are piloting their trade finance solution leveraging distributed ledger technology following a successful proof-of-concept. Since launching in September 2017, with BNP, Commerzbank and ING as core banks, the initiative has attracted significant interest from the global banking community, with additional banks including Standard Chartered, DNB, and OP Financial Group joining in recent months. The Marco Polo initiative has developed a solution for post-shipment trade financing powered by the TiX platform from TradeIX and R3 Corda blockchain technology. It enables end-to-end, real-time, seamless connectivity between trade participants, eliminating the data silos which prevent free flow of information causing inefficiencies and discrepancies. 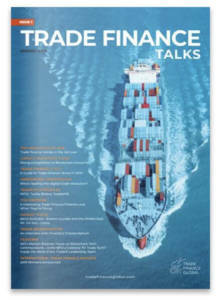 Initially the solution is focused on three distinct areas of trade finance: risk mitigation by provision of payment commitments based on the matching of trade data, payables finance, and receivables finance. It will be delivered via TradeIX’s TIX Platform, an open platform providing applications, technology tools and core infrastructure for the trade finance ecosystem. The collective ambition is to expand the initiative in 2018 to include additional banks and third party service providers, such as credit insurers, ERP and logistics providers, leveraging the collaborative nature of the platform to create a fully interoperable open-sourced trade finance network. “We see the proof-of-concept as an important milestone in this project. The fact that more banks have joined also illustrates the interest in this project and in the potential of DLT in supply chain finance solutions.” commented Jacques Levet, Head of Transaction Banking EMEA BNP Paribas. “We are one of the first three banks to successfully perform the proof-of-concept acceptance tests which is a major achievement for us. We are pleased with how far the development has come in such a short timespan. Together we have proved, that blockchain technology will make trade finance faster and more transparent for all participants,” said Nikolaus Giesbert, Divisional Board Member, Fixed Income, Currencies & Commodities and Trade Finance & Cash Management, Commerzbank AG. “The age of digital collaboration in trade finance has arrived and we see our participation in this initiative as an important component to accelerate this and drive financing deeper into global supply chains. This in turn enables greater avaibility of financing for small and medium enterprises,” said Michael Vrontamitis, Head of Trade, Europe & Americas, Standard Chartered. “We are very pleased to join Marco Polo and we believe that blockchain technology will have a considerable impact on the future of trade finance. Working together with innovative technology companies and other banks will make us more relevant for our customers. The proof of concept was a success and now we are ready to plan a pilot,” said Sylwia Lisowska, Head of Product and Distribution at DNB Factoring. “The successful acceptance tests were a powerful evidence that financing of the trade can and will become an integral part of supply network processes. We are positive that R3 Corda provides an effective solution to support this complex environment” said Juho Malmberg, CIO, OP Financial Group. “Heavy paper processing across complex supply chain processes are a significant burden to businesses. The industry has been looking for solutions to simplify and digitize trade, making supply chain ripe for the benefits of blockchain technology.”, said Connie Leung, Senior Director, Financial Services Business Lead – Asia, Microsoft. 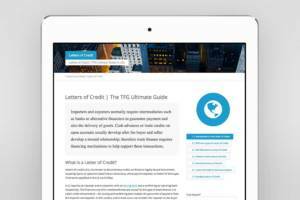 “It is exciting to be part of the growing ecosystem building trade finance solutions on blockchain. Microsoft is honoured to be providing our global scale cloud as a foundation to R3 and TradeIX to speed this solution to market,” said Yorke Rhodes III, Azure Blockchain Engineering, Microsoft.